Extremely easy, yummy and healthy dish. Give it a try to agree with me. 6-8 leg pieces of chicken. Leaving out the chicken blend the rest of the ingredients to a fine paste. In a bowl marinade the chicken over night. Next morning pre heat oven to 350 deg . 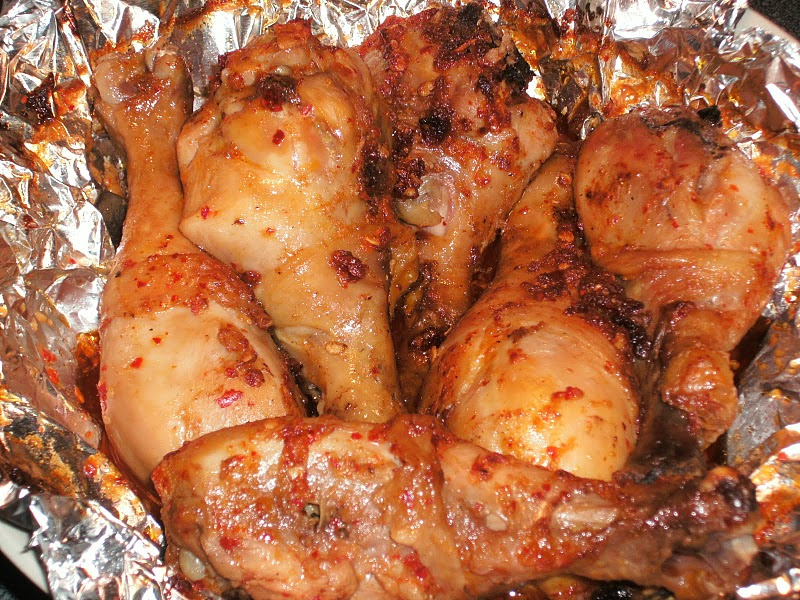 Put the marinated chicken in a baking dish, cover with a foil and bake for 30. Remove the foil and bake for 15 -20 min until golden. Remove from heat and serve with salad. HORRIBLE DISH/RECIPE! I would never make this dish ever again. The whole dish ended up in trash. It tasted really bad especially because of the Tahini. What a waste of time and money! HORRIBLE DISH/RECIPE! I won't never make this dish ever again. The whole dish ended up in trash. It tasted really bad especially because of the Tahini. Just what is Tahina? IS there a substitute? Thanks. Thanks Soofia well tis is a combination of east and west tat is why I have added Tahina to give it a unique flavour. Wow! it will give different taste.Tahina usually used in Arabic dishes as a salad dressing.I am sure baking chicken will be yummy. Thanks for innovative idea. Thanks khuserv for always being supportive. I am sure if I add these chickens to the desi rice it would make a tasty dish. Thank you.